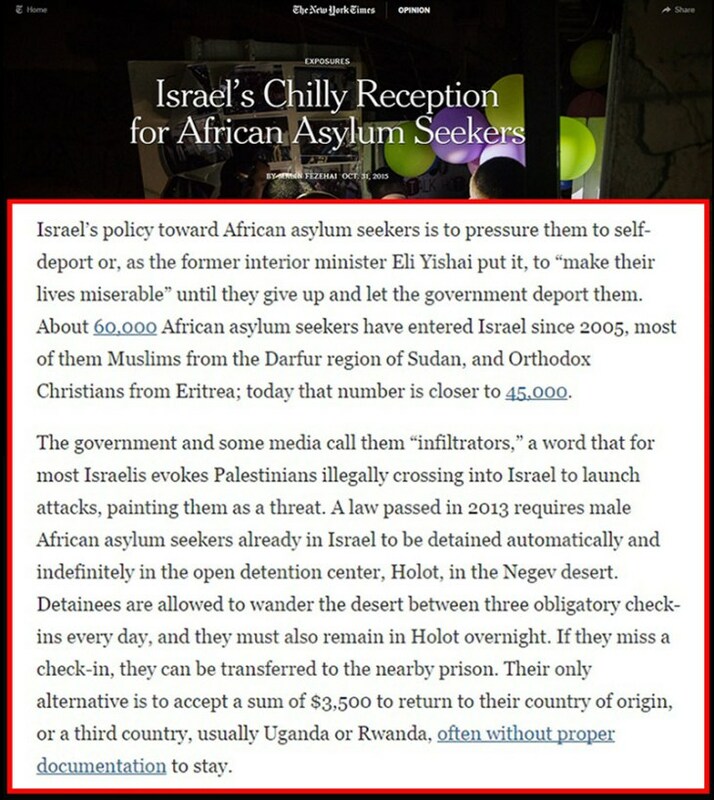 THE ISRAELI GOVERNMENT is actively aiding the Third World invasion of Europe — while at the same time making sure that no Third World “refugees” enter Israel, and those who do, are locked up in camps without trial and deported. 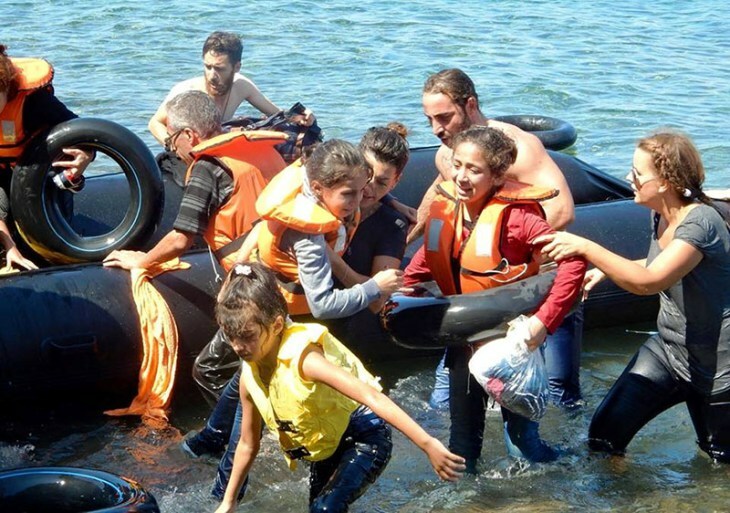 Israeli Jews working for IsraAID, including global programs manager, Naama Gorodischer, center, helping nonwhite invaders reach the shore after their boat overturned off the Greek coast, September 13, 2015. IsraAID worker Rachel Lasry Zahavi (left) giving an Afghan invader her “Baby Bjorn” sling. 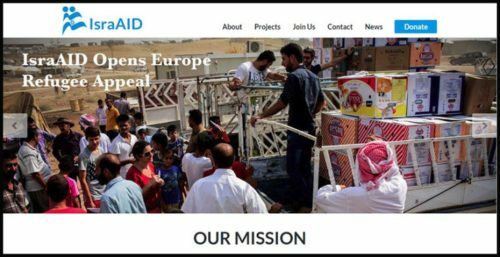 According to its own website, IsraAID is financed by the Israeli Department of Foreign Affairs, the American Jewish Committee (AJC), the American Jewish Congress, the Ben-Gurion University of the Negev, the B’nai B’rith International, the Federation CJA (Combined Jewish Appeal, a Canadian Jewish organization), the Greater Miami Jewish Federation, the University of Haifa, the Jewish Federation of Cleveland, the Jewish Federation of Baton Rouge, the Jewish Federation of Greater Houston, the Jewish Federation of Greater Los Angeles, the Jewish Federation of Greater New Orleans, the Jewish Federation Greater Vancouver, the Jewish Federation of Greater Washington, the Jewish Federation of St Louis, the Jewish Federations of North America, Jewish World Watch, the Pears Foundation (run by the Jewish billionaire property owning family company in Britain), The Pratt Foundation (an Australian Jewish organization), The Ted Arison Family Foundation (Israel’s largest private family foundation), the Jewish United Fund/Jewish Federation of Metropolitan Chicago, the UJA Federation of Greater Toronto (United Jewish Appeal), the UJA Federation of New York, and the North Carolina WNC Jewish Federation. 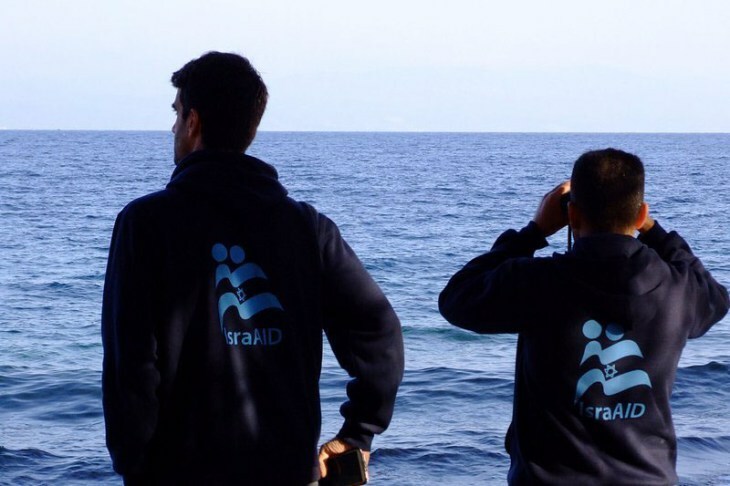 Meanwhile, at home, the Israeli government is actively involved in blocking and deporting Third World “refugees” — a policy which is the exact opposite of IsraAID in Europe — which it directly funds. 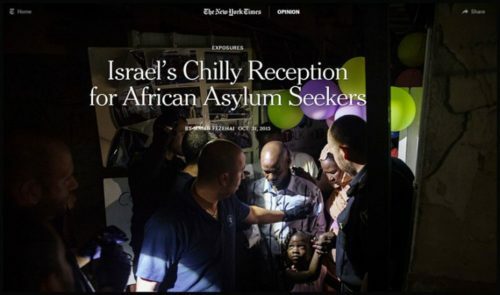 The New York Times goes on to say that the Israeli government officially describes all refugees as “infiltrators,” and that this is the word regularly used by the Israeli media to describe them as well. Furthermore, a law passed in 2013 mandates that all male asylum seekers are automatically and indefinitely detained in a concentration camp set up specifically for the purpose in the Negev Desert, far away from the Jewish centers. There they are made an offer of $3,500 to voluntarily return to their country of origin, or a third country, usually Uganda or Rwanda. If they turn down this offer, they are deported without further ado. The Jews are quite open about the reason for their hardline approach. 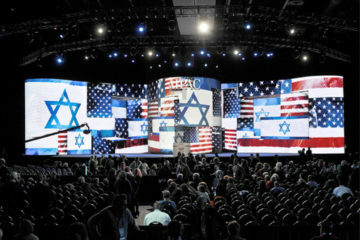 As the New York Times says, Prime Minister Benjamin Netanyahu warned that the arrival of “refugees” posed a “demographic” risk to Israel: “If we don’t stop their entry, the problem that currently stands at 60,000 could grow to 600,000, and that threatens our existence as a Jewish and democratic state,” he said. 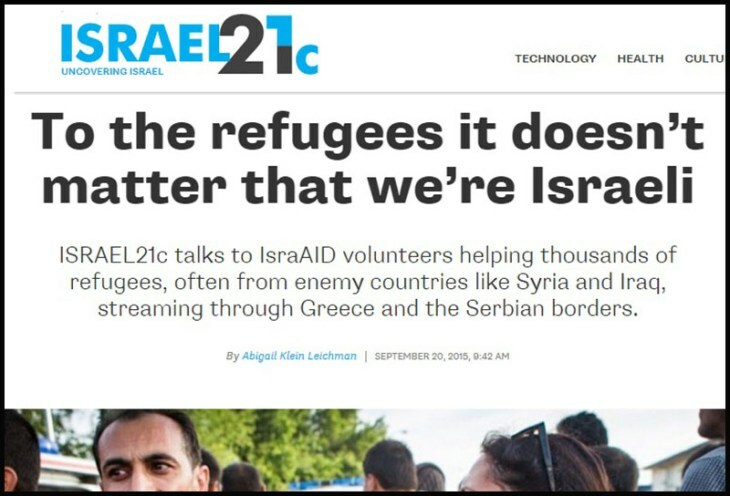 So it is clear that the Jews understand — correctly — that a mass Third World invasion will destroy their country, and they are very clear and open about this fact. Nonetheless, at the very same time, they are actively funding and aiding a mass Third World invasion of Europe — knowing full well that this will destroy Europe. This overt hypocrisy cannot be a coincidence: it is the result of a malicious, deliberate policy, designed to destroy Europe and Europeans, while ensuring that Israel remains racially pure. I don’t understand what Israel and the pro immigrant Jewish lobby hopes to achieve by this action, if Europe falls to islam then Israel will be totally surrounded by hostile nations to both the east and west and I doubt even the US could really do much to help them if the Mediterranean sea and all the land and airspace around it is controlled by hostile nations. In Europe itself we are already seeing an increase in anti semitic attacks caused by the increasing numbers and confidence of the islamics. While Israel itself may be taking a hard line against the influx they wont last 5 minutes if they find themselves totally surrounded and cut off. We are seeing a total remake of the Middle East, where Israel will set the borders, and free themselves from anyone they don’t want within their new territory, especially the Palestinians. Such total remake where a new reality is created and the old reality forgotten, can only be done within a total war. This total war, Europe vs Islam, can only happen when there is an absolute hatred between the two. The destruction of Islamic countries, and the influx of Muslims into Europe will certainly see to it. 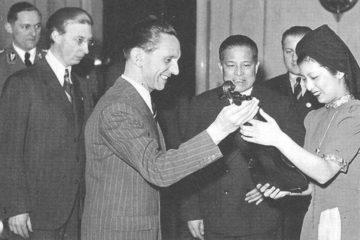 This will continue until even the most reasonable will shout for war. Israel’s enemies will be Europe’s enemies. I wouldn’t be surprised to see terrorism committed against Jews in Europe to convince Jews that Israel is the only safe haven for them. Being surrounded by hostile countries is beneficial to the support of Israel. These hostile countries aren’t a real danger to Israel as these countries, or ‘countries’, are disorganised and weak. The Muslims will lose, and it looks they are not capable of organising themselves in any meaningful way.